If you havent yet dug your pond, are unable to measure it with a flexible tape measure, or simply just planning a pond, then use our simple Pond Liner Calculator to estimate the sheet size required for your pond. Simply enter your ponds longest length, widest width and maximum depth dimensions (in Metres) in the relevant boxes below and then click the "calculate" button to obtain an estimate of the pond liner size required, and the approximate pond volume in Litres, which you may use as a guide to help with selecting filtration equipment and fish stocking levels. The Pond Liner Estimator will automatically add 0.5m to both the length and width as an overlap to secure the liner. This allowance (25cm on each edge) may be reduced if securing under brickwork, or extended for a bog garden edging or beach. Please note:- we strongly recommend you only use these calculations as part of your project planning exercise and strongly advise measuring the final excavated pond profile and overlap (edge dig in) required with a flexible tape measure prior to purchasing the liner. We would always recommend obtaining professional advice regarding pond size and water volume in relation to the end use, be it a wildlife or fish pond (i.e. minimum depth to avoid freezing, the number and size of fish you can have, etc.). Now you know what size liner you need, whats next? 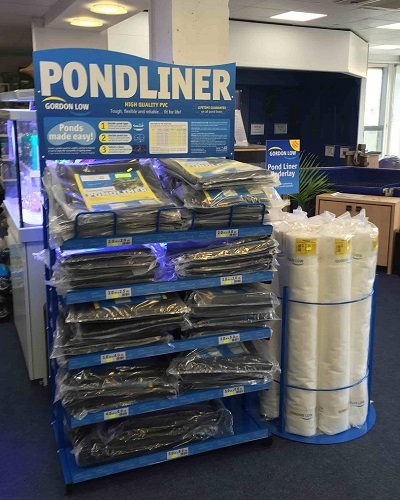 Choose a pond liner type (rubber or pvc) and where to go to get the best deal ! 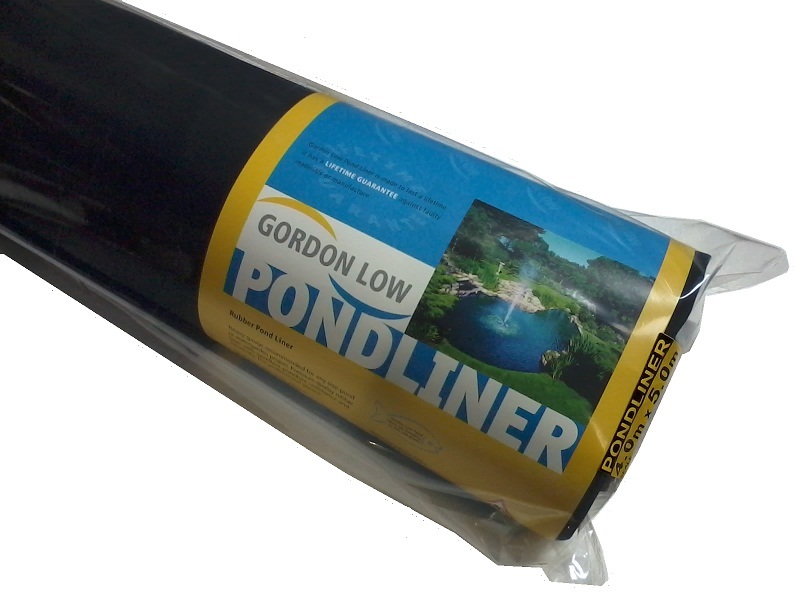 Gordon Low pond liners are available from your local Water Garden Centre and many of these retailers have online stores. 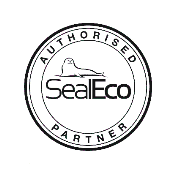 There are many types of pond liner so find out more about our pond liner range.